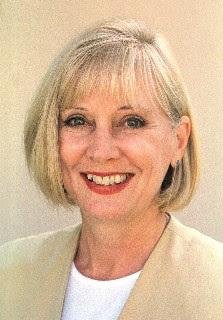 Today the Pens are happy to welcome Susan Shea, a lovely member of our local writing community and someone who writes a clever, twisting, mysterious tale about one of my favorite subjects: the clever, twisted, mysterious ways of the art world. 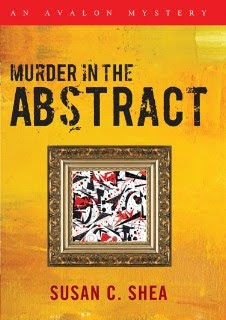 Susan has her first novel coming out THIS MONTH: Murder in the Abstract (an Avalon Mystery). Booklist calls it: "...a series to watch." Plus: Susan is generously offering a signed copy of Murder in the Abstract to a randomly chosen commenter! So leave a comment (with your email in the text) and answer this question: what rule(s) make YOU freeze? Immediately, I’m suspicious. Oh, yeah? Who says? Next, I’m nervous. What happens if I mess up? Then, I’m confused. What are they? Who has them? Clearly, I don’t do rules well. I don’t have the traffic tickets or IRS penalty notices to prove it because I’m not stupid. Those kinds of rules cost more time and money to thwart than I want to spend unless there’s a moral issue involved. However, this wonderful blog site is about writing and writers, and I’m a guest, so I’ll stick with rules for writing and why they only sometimes make sense to me. Here’s a recent, true demonstration of my attempt to follow the rules. I’m having trouble with the pacing of my second book, especially because the end is sort of tricky. I like the scenes and the order in which they take place. But fitting them into chapters is getting awkward, never mind into three acts. See, someone smarter than I am told me to divide my book into three acts. There’s a crisis at the end of the first act. There’s a defining situation at the end of the second act that makes the pursuit of the villain a personal quest - no turning back from this point on. And, of course, there’s the climax and resolution at the end of the third act. So far, so good. But another, equally successful author wrote that the big moment comes halfway through the book, which brings up another of my weak points: math. What’s half of a third and does that mean the highest drama comes before the second act’s climax? I’m now completely frozen. Never mind chapters – I’m not sure where the periods go! So I call yet another smarter-than-me author who obviously understands this stuff. She’s patient and I almost get it after a half hour. Two weeks later, any clarity I had has evaporated. So I scrap all the rules and decide to reread the entire manuscript in hard copy and do it by instinct. End the chapters with a flourish where my protagonist sticks out her tongue, metaphorically. Consider a third to be a moveable point at which someone brandishes a knife or finds a body. And the midpoint? Oh, well, it’s in there somewhere. Maybe a kind editor will point it out to me during revisions. I’m going with my gut and remembering that the point of all these rules is to establish and maintain a rhythm, mounting tension, and belief in the characters and their intentions, good and bad. The writers who host this site have proven they can do all of that and, if they follow rules, they do it so gracefully that I’m not aware of the structure, just caught up in their stories. Maybe one rule we authors can all follow, even if we’re not so good at fractions, is just that: write a great story and make the hard work invisible to the reader. Thanks for letting me visit Pen Fatales! Wonderful to see Susan here! But take me off the list for a copy of her book -- I'm planning to buy my copy tonight when we sign together at A Great Good Place for Books in Montclair (CA). I'm thrilled to be joining Susan at her debut. Susan -- I love it that you went with your gut working on your latest manuscript :). Now that I've got a copy of your first book, I'm looking forward to diving into it this weekend! A light just came on for me. I love how you hear something over and over and think you even know it, but then someone says it again and suddenly you GROK it? The purpose of the three acts, with the high point in the middle. Suddenly I see. Thank you. Can't post my name - can only post annoymous - sorry. Oh, writers doing math! Impossible! But I think you did math the way writers actually do it--so, hurray. ANd clearly you got the right--write?--answer. Very excited for you, Susan. I loved your idea the moment you told me! Oh, Anonymous, thanks,..I talked about Grokking recently ,and got a blank stare. Anon., so glad you figured it out. Now will you tell me?! Hank, so nice to hear from you. Thanks for the share. Gigi, I want to know what you think - thanks for helping me celebrate last night. Camille, see you tonight, friend! Susan, can't wait to see you and get you to autograph my copy! Re all that act structure stuff, I'm surprised to see screenwriting formulas pop up in fiction land! half way through the book is the middle of the second act, but ONLY if your book has a first and third act take up one quarter of the book each, and the second act is half the size of the book. Which is far more common in classically structured American screenplays than fiction. then there's the question of reversals in each act...but again, that's all screenwriting yakkety yak. Novels are far more complex. I've heard chapters are arbitrary, structurally speaking (still half-way through my first mystery, so I'm not sure). HURRAH to you for 1) being able to hear your instincts over the madding crowd of structure theories, and 2) following them! There comes a point where everywriter (even screenwriters) have to toss the theory over their shoulder and do what FEELS right. I've got an overactive left brain, so I do consult my theories when something's not going rigth (is this section dull, well then, perhaps nothing has really changed for the protagonist in too long -- nothing more at risk, danger not higher, etc). I once saw Kurt Vonnegut (yes, I'm that old!) give a speech where he showed the classic interpretation of story structure for Cinderella. All the neat lines you see in books. Then he demolished it in about five minutes. Funniest damn thing I've ever seen. He put the C in curmedgeon, and common sense. Rock on and write on, Susan! Rules don't generally make me freeze, as I refuse to play games if I don't like the rules, but a couple of contradictory signs have done it. One said, "Guard Dog. Keep off the grass." Just underneath it was a "Sidewalk Closed" sign. The only other way to go was on a busy roadway, so I didn't know which way to turn. Finally, I turned around and found a different route, but that moment of indecision was not fun. Lisa - diagramming! Oh my lord, I can't even go there! Rachel, can't believe you're having trouble. You're so accomplished. Mysti, see, that's the problem: You lost me in the middle. But I'm glad you understand it, and when your first book's out, Lisa and I are going to diagram it to figure out what you mean! Thanks for commenting, one and all!